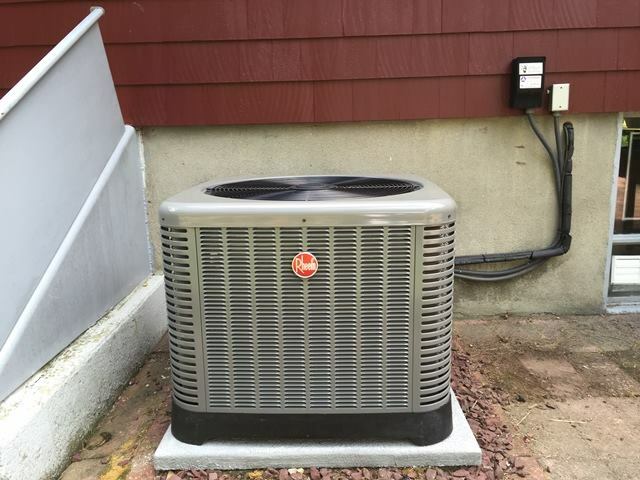 Affordable Heat & Air offers comprehensive professional heat pump services to residents of Tewksbury, MA as well as the surrounding areas. From regular repairs and maintenance to sales and installation, our EPA-certified team of heating and cooling experts will keep your home safe and comfortable. We also can help to reduce your energy bills by providing maintenance plans and high SEER equipment to ensure that your unit works at peak efficiency for many years into the future. Our company carries a number of different high-quality heat pump units to effectively cool and heat your house. Your heat pump uses heat dispersal methods to do double duty. The interior of your home will stay comfortable and cool while using only a low amount of energy when compared with traditional air conditioning systems. When you switch to a heat pump that will significantly reduce your monthly energy bills, especially in the summer. The SEER (Seasonal Energy Efficiency Ratio) rating lets you know the amount of energy that you will need to use to cool and heat your property. Affordable Heat & Air has units to suit all budgets, with SEER ratings that range from 10.0 up to 17.9. Discover the benefits provided by high-SEER equipment and determine what is best to use on your property. We here at Affordable Heat & Air go the extra mile to ensure that your equipment operates properly and for as long as possible. Typically heat pumps last about 15 years, and when cared for properly will save you money and provide you with uniform cooling and heating through the entire lifespan of your system. Like all HVAC systems, regular maintenance is needed by a heat pump in order to perform optimally. We will make sure your unit is kept clean and works at peak efficiency. Ask us today about the affordable maintenance plans that we offer along with the extra benefits that come with being a loyal customer of Affordable Heat & Air. When a problem arises, you will know there is an expert who is there to answer your call. Contact us anytime your pump is having difficulties with doing its job. We will get your system back on track right away and get your house returned to a comfortable, cool home. It doesn’t matter when you need help, you can rely on reliable, fast service. Also, you don’t need to worry about expensive after-hours fees. We are a 24/7 repair service, and we will never charge you overtime for the work that we do – whether it is during the middle of the night or on the weekend. Does your heat pump not start? Be sure the thermostat and fuse or breaker for your unit are functioning correctly. Has your outdoor unit started to ice over? Systems are designed to defrost on their own, however, problems can be introduced by thick ice layers. To speed the process up while avoiding damage, use warm water to melt it away. Has your electric bill skyrocketed? Be sure to check your thermostat to see if your heat pump has been set to heat or cool and not the emergency setting. If those suggestions do not solve your problem, then call a trusted and trained professional. Even the highest quality equipment will not last forever. After your unit starts faltering or needs to have multiple repairs, then we can help you review your replacement options. Our team has the experience and stock to equip your home with the ideal high-performance heat pump to meet all of your needs. To find out what your best options are, speak to our technicians. In only 10 minutes, we will provide you with a free quote, and can get your unit installed in just a couple of days. The business of Affordable Heat & Air is to keep you cool. From regular maintenance and repairs to new installations, we have all of the right tools and experience to ensure that your heat pump continues to run strong. Call (978) 667-8122 to get your service scheduled today.